Sometimes it is the one who loves you who hurts you the most. Lily hasn’t always had it easy, but that’s never stopped her from working hard for the life she wants. She’s come a long way from the small town in Maine where she grew up—she graduated from college, moved to Boston, and started her own business. So when she feels a spark with a gorgeous neurosurgeon named Ryle Kincaid, everything in Lily’s life suddenly seems almost too good to be true. Ryle is assertive, stubborn, maybe even a little arrogant. He’s also sensitive, brilliant, and has a total soft spot for Lily. And the way he looks in scrubs certainly doesn’t hurt. Lily can’t get him out of her head. But Ryle’s complete aversion to relationships is disturbing. Even as Lily finds herself becoming the exception to his “no dating” rule, she can’t help but wonder what made him that way in the first place. As questions about her new relationship overwhelm her, so do thoughts of Atlas Corrigan—her first love and a link to the past she left behind. He was her kindred spirit, her protector. When Atlas suddenly reappears, everything Lily has built with Ryle is threatened. With this bold and deeply personal novel, Colleen Hoover delivers a heart-wrenching story that breaks exciting new ground for her as a writer. Combining a captivating romance with a cast of all-too-human characters, It Ends With Us is an unforgettable tale of love that comes at the ultimate price. 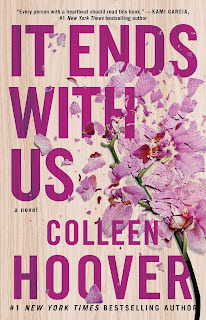 I was positively delighted when It Ends With Us by Colleen Hoover arrived on my doorstep from Simon & Schuster Canada. Colleen is one of my auto-buy authors, an absolute favourite, and an author that, in my eyes, can do no wrong when it comes to the written word. She's always inspired me with her incredible female leads, intense and emotional plots, and her soft and well-meaning lessons she enjoys slipping into her tales every now and then. It goes without saying that I was positive It Ends With Us was going to enlighten and thrill me as much as her previous titles had in the past. I became emotional attached to Lily instantaneously. I saw myself in her and I enjoyed it but also disliked it all at the same time. I pitied myself for a little while there, I'm sad to say. Just like Lily, I've been known to put hard work a lot before my own needs, and have felt that anything remotely good that has been given to me would soon be taken away. Almost like anything good that happens is most positively too good to be true, you know what I mean? Lily was the heroine I needed at the moment, and although I disliked seeing much of myself in her, I felt like I needed this extra dose of reality and relatability in my fiction. As for Ryle, he was as brilliant as he was arrogant, cocky, and stubborn - I loved it! Although Lily and Ryle's personalities clashed, I enjoyed their dialogue and their chemistry immensely! 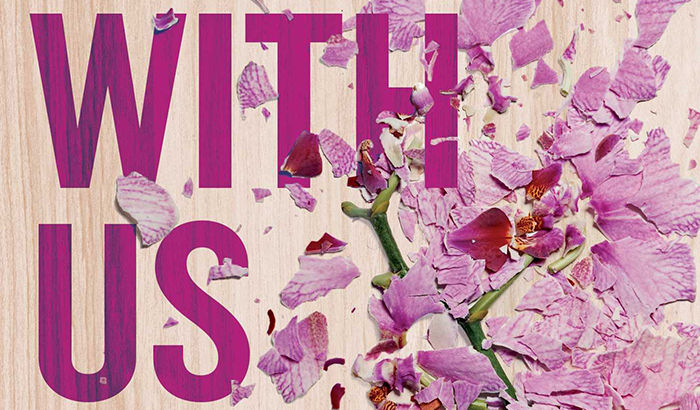 Well written, emotionally intense, romantic, and addicting - I loved It Ends With Us to pieces! Colleen's latest tale struck quite an emotional cord with me and I anticipate re-reading it again in the nearby future. This title was provided to the blogger by the publisher/author in exchange for an honest review. No payment was received/accept in exchange for this review/post. The blogger requests that this review not be reposted or edited with the blogger's permission. The thoughts and words expressed in this review/post are explicitly the blogger's. Great review! I'm even more excited for it now! Of course since this is a new Colleen Hoover book I see it pop up everywhere and just like every time time I see it a whole lot of mixed reviews comes with it! I've seen many people disappointed with her latest novel, It Ends With US but I've also seen many people love it as much as you have so I'm torn as to if I should give it a go. I'm not the biggest Colleen Hoover fan but I love emotional stories with realistic and relatble characters and of course a great romance, sometimes Colleen pulls that off for me but other times I've been disappointed... Great review btw! Yay a new Colleen Hoover book with another gorgeous cover! I'm so excited to read this one and I heard there's no love triangles which I couldn't be happier about tbh! I understand this book deals with some heavy stuff so I'm expecting a real rollercoaster of emotions whilst reading this. Great review!! A new Colleen Hoover book definitely had me intrigued but I hear that the book deals with some heavy stuff which I won't mention 'cos of spoilers and I'm not sure it's really something I want to read about. I love Colleen's writing though so I might give it a go?!? I've yet to read this and honestly, I'm dying to! great review. Loved the review!! My thoughts exactly!! I loved this book sooo much! It left such a big impression on me and made me think about the sad realities of life. I respect Colleen for sharing such a personal experience with the world but we gotta share our stories to raise awareness. Wendy is a Canadian book blogger with a passion for reading. She's overly enthusiastic when it comes to book boyfriends like Magnus Bane (drools), anything Disney, and caffeine (obviously). 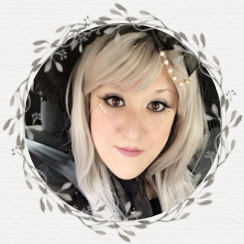 Wendy is also a founding member of Book Blog Ontario, an annual Ontario book blogger event that connects readers with new books and fellow book bloggers. Wendy has read 0 books toward her goal of 100 books. A Cupcake and a Latte is a book blog created as a hobby space for it's writer. All titles featured for review on A Cupcake and a Latte are owned by the writer unless otherwise noted. If otherwise noted, said titles were provided to the writer by the publisher/author in exchange for an honest review. No payment is received/accepted in exchange for the review/post. The writer also requests that her reviews not be reposted on any platforms without her written consent. The thoughts and words expressed in the reviews/posts are the sole intellectual property of it's writer. Pokemon Go Book Tag - I Choose YOU!